“I do not like this world as it is. We all learned early in our public schooling that two of America’s greatest originals were Mark Twain and Helen Keller. Mark Twain’s love and affection for Helen Keller is further evidence that a lot of atheists have the hearts and minds and moral values that seem to get lost on so many people of Christian faith. And yet in the category of “Things They Didn’t Teach Us Back in School,” I wonder how many Americans know that the great American icon Helen Keller was a lifelong, radical socialist who once went so far as to praise Lenin, or that Mark Twain was (arguably) such a radical atheist that his writing and lectures went a long way in shaping Bill Maher’s anti-Christian, anti-reigion worldview. I was reminded of this when I came across a piece by Josh Jones at the Web site “Open Culture” about Twain’s affection for Helen Keller. “He treated me not as a freak, but as a handicapped woman seeking a way to circumvent extraordinary difficulties,” Keller once wrote. Christian or not, Mark Twain was one of the most morally high-minded Americans who ever came down the pike–as was Miss Helen. 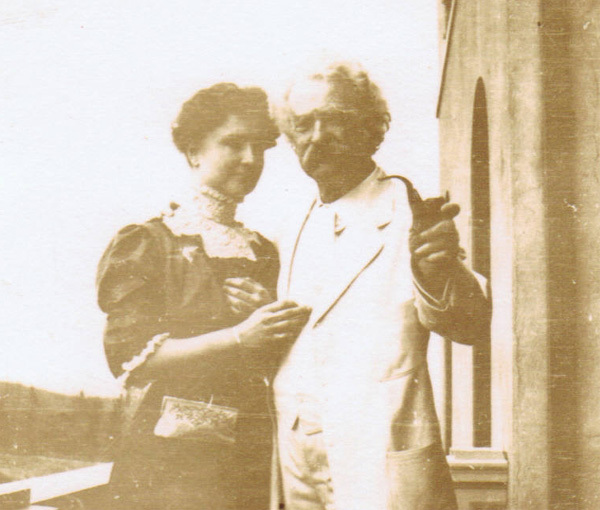 Read more about Twain’s loving affection for Helen Keller by clicking here to the “Open Culture” site. And check this list of similarities between the two from the Mark Twain Library.